We all want to stay healthy and lead disease-free lives, but some people go to extremes – and it is usually the “unscientific.” They will pay a lot more for something labeled organic, or put themselves on strict vegetarian diets, or violently oppose genetically engineered foods. Let’s explore some of these topics further. What do we mean by “organic?” All food is organic, you can’t get an inorganic vegetable unless it is sculpted out of metal; a vegetable is a vegetable no matter how it is grown. Some people think “organic” means that it is grown with “natural” fertilizers and not “chemicals” and that “organic” means “good” and chemicals means “bad.” Well, the vegetable requires the sun, carbon dioxide from the air and chemicals from the soil and water to grow. If gotten from natural fertilizers, which may be compost and manure or feces from cows and chickens, it has to be broken down to basic chemicals by microorganisms in order to be taken up by that vegetable, or you can bypass that step and use the chemicals directly, which is what is in commercial fertilizers. Organic farmers have to put down the “feces” in the spring to allow microorganism in the soil to break it down to the required nutrient chemicals. Often the feces can contain bacteria which, in the spring when it is rainy, wash into waterways and cause pollution. Also if the feces or manure is not sterilized, it can pass on bacteria such as E. coli, which has caused many a food recall. For large farming operations, it is much more efficient to use the essential chemicals directly. Nitrogen, for instance, is nitrogen no matter what the source. As for pesticides, wherever you have a monoculture there are little creatures that want to share the bounty, so would you buy vegetables with bug holes or bugs in it? Chances are there are only trace amounts which can be washed off, or will pass out of your system, and not accumulate in toxic amounts. To solve the pest problem, organic farmers often plant a variety of crops in one area, but that is not very efficient for large farming operations. Now onto vegetarian diets: I had a long conversation on this topic with my doctor. She said if an adult wants to be a vegetarian, she doesn’t condone it, but please “don’t do it to your children.” Some people believe it is healthier, and others simply don’t like the idea of eating animals. When it comes down to it, life is one protein chain of eat and be eaten. Early man was a hunter-gatherer. We as a species are omnivores; which means we should eat a variety of foods including animal and plants to get the essential building block proteins for energy and growth. Today we are faced with feeding an increasing human population and depleted soils worldwide. Science provides hope, and yes, there are issues brought up with genetic engineering, but it is not a perfect world and we humans are messing it up rapidly. One problem is the resistant to scientific solutions that many people have. The book “The Unscientific American” asks “why, when many of the problems of the twenty-first century require scientific solutions, are Americans paying less and less attention to scientists”? The key to good health and long life is diversity. Don’t eat the same foods day in and day out. Eat a variety of foods from different sources. Exercise, and lead a stress-free, happy life as much as possible, and you will certainly increase your chances. 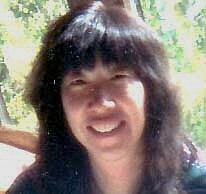 Breckenridge resident Dr. Joanne Stolen is a former professor of microbiology from Rutgers now teaching classes at CMC. Her scientific interests are in emerging infectious diseases and environmental pollution.